Progressive web apps have been defined as a web application which uses modern browser features and you can add it easily to your home screen. It is efficient for a web developer because it allows downloading web apps conveniently and smoothly. As you download a mobile app from an app store, it uses an app shell which does the same. Why there is a need to have PWA? Google has amazing plans, it has started giving priority to the mobile-friendly sites. When you have a perfect PWA, it would be shown in the top search results and users would be requested to download. It is a brilliant idea because it can engage a number of users. The progressive web app is known to give you a seamless experience because it saves the time which gets waste in loading an app. It can fill the gap between the web access and an app which has been downloaded from the app store. The main aim of using PWA is to facilitate with the astonishing user experience. PWA doesn’t acquire space like a traditional app. It can be hosted on the web server and easily installed on the user’s home screen. This can be used as an app from the app store, you will not have to think about manual storage or any upgrading issues. Getting security is the most important aspect for everyone. According to the new standards, developers are encouraged to move the sites associated with customer information to HTTPS version. PWAs are programmed in HTTPS version and are completely secure. The user will not have to worry if they enter personal details. An app should be opened without finding any serious trouble. PWAs is seamless about speed. Even, when the connection is poor, the app will work good. The end users can always be able to access the latest content as they open progressive web app. PWAs can be opened offline from the home screen. It doesn’t matter if you have an internet connection or not, it can still send background updates and send notifications to the users. There are multiple devices on which one can access the internet. People browse the internet frequently whether they travel in a bus, during lunch break or while taking tea. PWAs has been designed in such a way that it can be accessed online. In case, you are using progressive web app on your tablet and then switch to a mobile device, there will not be any difference. This always happens that you download an app from the app store, you need to go through a number of steps. It wastes your precious time and the work will be hampered. A number of benefits can be availed easily if you download progressive web application. You don’t need to search an app as you search from the app store. By the introduction of the progressive app, multiple steps of downloading can be avoided. You can be easily directed to the web app screen. Organizations which has adopted the practice of using progressive web apps are successful. PWAs ensures you with a better ROI associated with encouraging the interest of the customers and the overall revenue generated. Progressive web apps have a better optimization in comparison to the traditional apps. It has created new standards for the App store as using responsive design has become a trend. To catch up the competition, you should have a PWA. 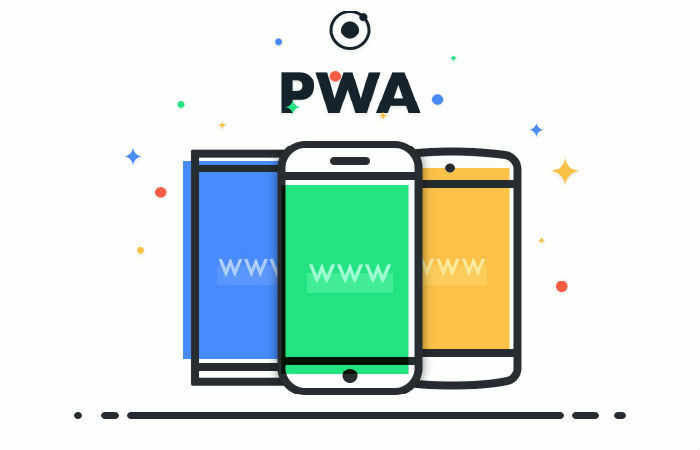 The introduction of PWA has cut the complex steps of downloading. It has become easy to share a URL. Your app can be promoted easily by others. A progressive app can easily get popularized by using social media, SMS, email and online advertising. All the above-given details are describing the ways, a PWA can be helpful to you. You can consider all these guidelines to enhance the value of your business. If you follow the instructions carefully, you can improve your position on search engines. Jacob Colleen is an expert of Progressive web design, and work at Webby Central renowned website design company. He helps organizations to build mobile applications which can compete in the online market. Through her write-ups, she gives valuable suggestions to the users.